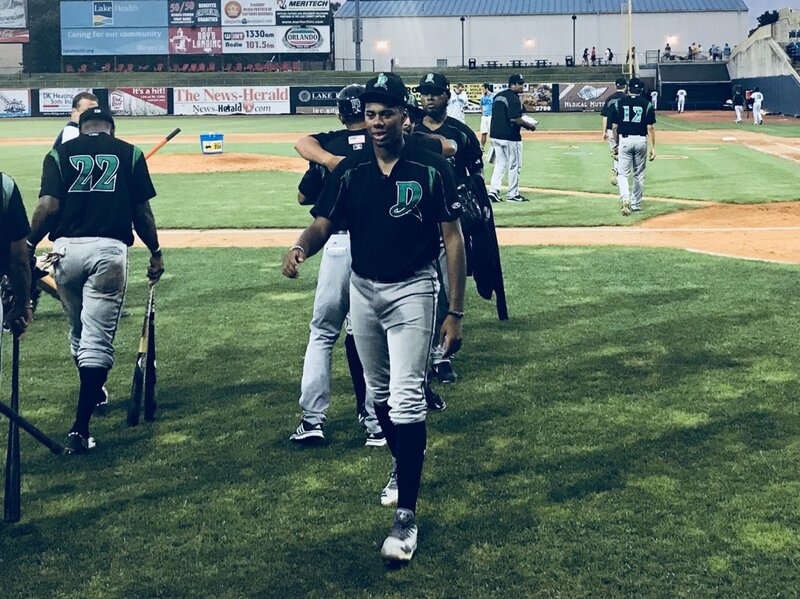 Eastlake, Ohio — Hunter Greene was dominant and incredibly efficient in 7.0 innings on Tuesday evening against the Indians class-A affiliate, the Lake County Captains. The first two batters of the game, including Indians #5 prospect Nolan Jones, jumped on Greene’s fastball for long, loud outs. Greene then settled in, and struck out six batters through the first three innings. Greene finished the night with 10 strikeouts in total, and put up his best line of his career: 7.0 IP, 2 H, 0 R, 0 BB, 10 K.
Greene worked at a very fast pace throughout this start. Greene would run out on the field after the Dragons recorded their last out, often before the Captains players in the field reached the dugout. The result was hitters late on the fastball, and then looking silly when Greene threw the slider. Greene only needed 69 pitches to get through 7.0 innings. It was curious that he was pulled after just 69 pitches, but Dragons skipperÃ‚Â Luis Bolivar might have wanted to make sure Greene left feeling great about the performance. It was Greene’s lowest pitch total in his last 9 starts. The Dragons also had two other top Reds prospects in the lineup: #5 2B Jeter Downs and #11 SS Jose Garcia (MLB Pipeline). Downs grounded into double plays in his first two at-bats, but plated the Dragons first run of the game with an RBI double in the 7th inning. Garcia had a base hit in the first inning, but was ejected in his next at-bat following a bizarre event. Garcia tried to call timeout, and it was not initially granted. The Captains starter threw the pitch, Garcia just stuck his bat out and the result was a ball to right field. The umpire then decided to grant timeout for the Captains starter, and did not reward Garcia with first base. Garcia impressively broke his bat over his leg after being ejected for arguing. I recorded some very poor video of last night’s game, but with no MiLB.tv coverage in Lake County, it is the best we have. Special thanks to Sean Ischay for the hookup with the great seats. Enjoy. Thanks, Nick! Really fun to read. Great news. He’s thrown 60 innings this year but efficient short outings should allow him a few more starts. 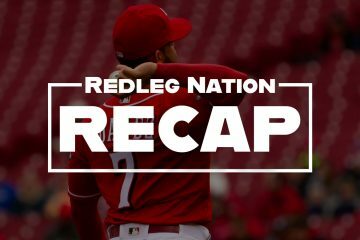 I’m really curious to see what the Reds end up doing with Greene. Ohtani has shown us it’s entirely possible to have a successful 2-way player in MLB and Greene, like Lorenzen, seems to have too many valuable baseball skills to only limit him to pitching. 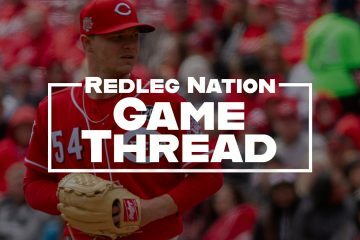 Imagine a lineup with Greene and Lorenzen as starting pitchers in a 4-man starting rotation at the MLB level! That could be almost 50% of the games played with the weakest hitter being a position player or even better, having no weakest hitter in the lineup at all…9 solid bats turning over to 9 solid bats, 3-4 times through the lineup (and NO SAC BUNTS!!!). Well considering they’ve bunted with winker and Gennet, unfortunately, the quality of hitter may not be what defines the bunting strategy. I was at the game as well. The ejection is one of the oddest plays I have ever seen. He ended up sitting in the grass beyond the outfield for the rest of the game. Greene got several strikes looking on what from the third-base line appeared to be breaking pitches that froze the batter. Very impressive. I’m not sure I understand what all went down. He called for time and didn’t get it, stuck his bat out and hit the ball in play and got on base but wasn’t awarded the base? Then was kicked out for arguing the call? I believe you do understand what went down. We have to also understand that the umpire is working in low A ball too. His career may not be going as well as Hunter Greene or even Jose Garcia. Great news about Greene. Hope he stays healthy.